In a reprise of last year's class I am back again co-teaching the Hannaford Career Center's STEM class with Jake Burnham. 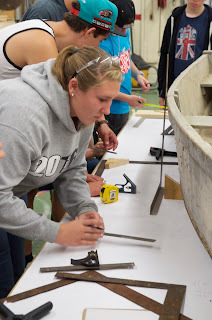 We brought two trapping boats into class, these built by different trappers than last year's boats. 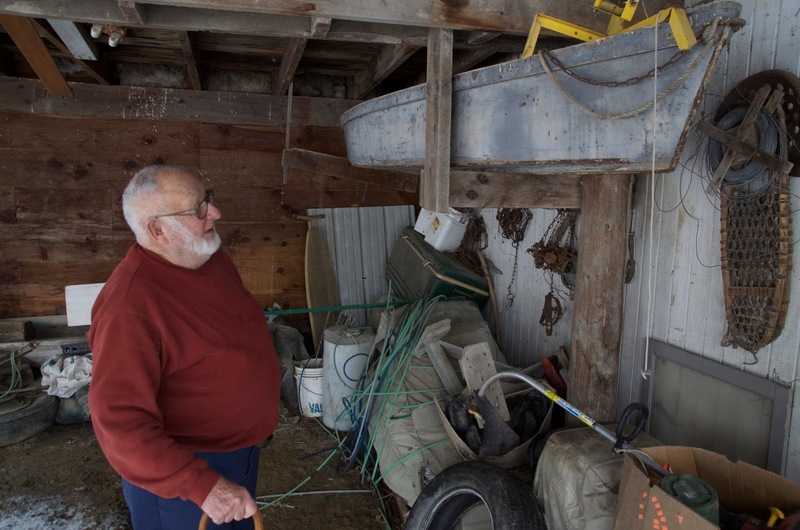 Earle Bessette with the trapping boat he built in the early 1960s. 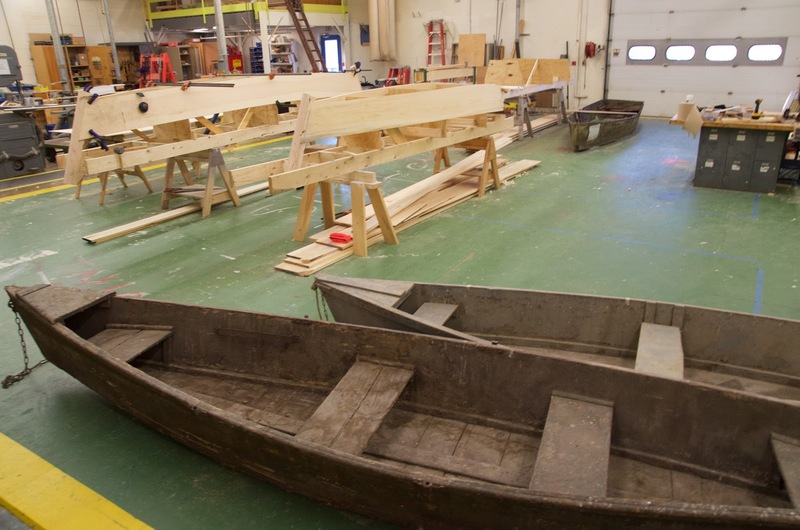 He said he copied the boats of a nearby trapper. 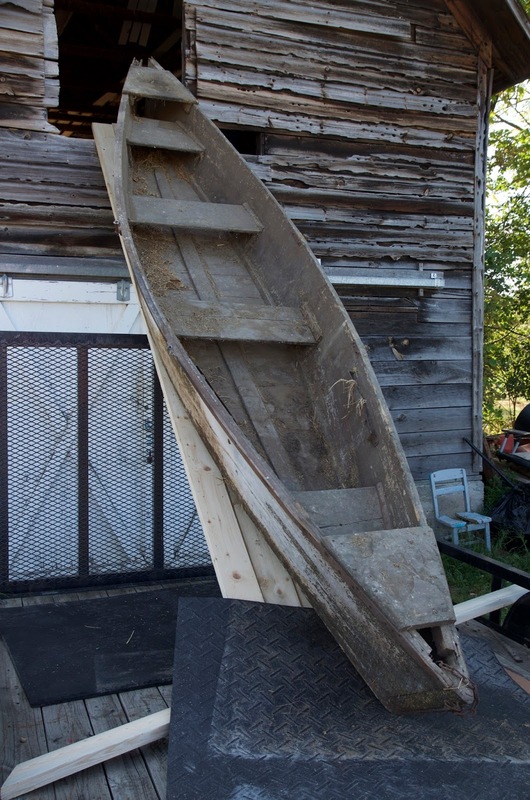 This is the smallest trapping boat I have seen, but Earle trapped a very narrow waterway in New Haven, Vermont. 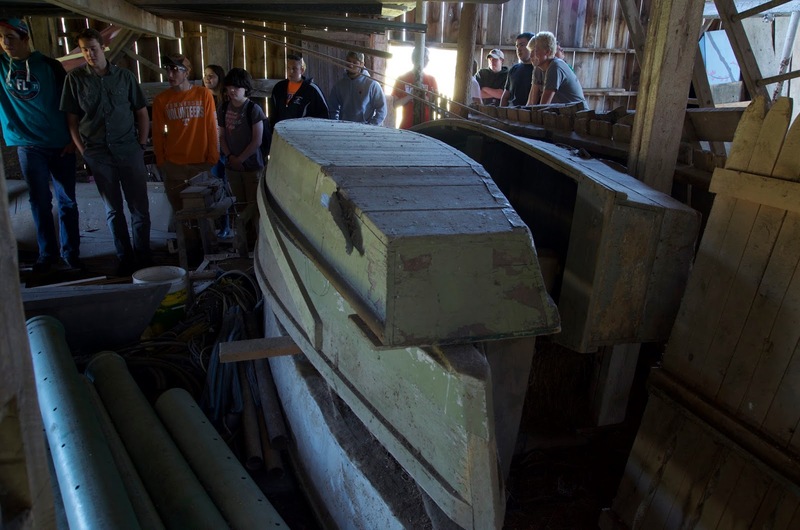 The boat also has a plywood bottom, because as Earle said he didn't want to deal with a leaky bottom. Smart man. 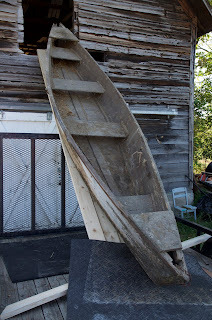 The other boat comes from the Mulliss farm in Bridport. It is believe to have been built and used by Orville Mulliss, but we don't know this absolutely. 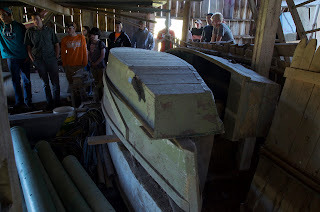 Its also the largest boat we've looked at and may not have been a trapping boat but used on the lake for fishing. 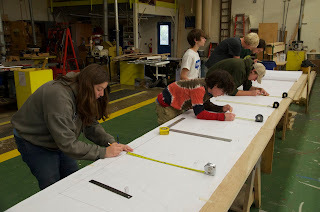 Students got right into taking the lines (measuring) the boats in preparation for drawing them in CAD. Then came lofting, drawing the boats full-size. This allows students to correct any errors in the lines-taking, fairing the lines to get as close an approximation of the true boat shape. 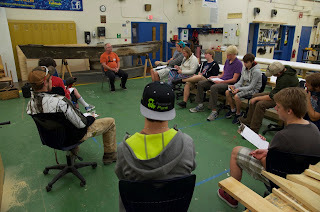 Once again we invited Greg Sharrow from the Vermont Folklife Center in to give students a training in oral interviewing techniques. 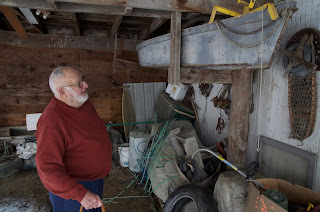 We interviewed Raymond "Bud" Bodette of Bridport on his memories of trapping and fish shooting. His family had a trapping camp on the back of their farm. We also visited the Hatch farm in Panton and looked at six of seven historic trappings boats built by Gerald Hatch from the 1950s to the early 1970s. His son Pat has given us several interviews over the years and we have built replicas of two of these boats. Our originals and the replicas under construction. Stay tuned as we finish these boats and the drawings this fall term.